At Yogurtland, we're all about using the real stuff in our frozen yogurt: real milk, real fruit, real toppings, real flavour. 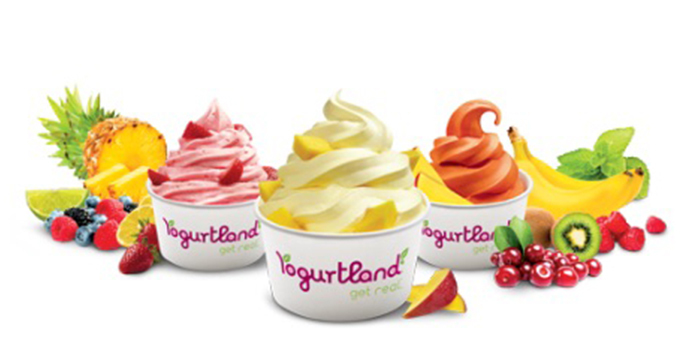 Launched in the USA in 2006, and offering the finest quality frozen yogurt made from only the realest ingredients, Yogurtland has arrived in Australia! With the best flavours and a mouth-watering array toppings, customers can create their own creation to make as big or small a serve as they like! With more than 15 different kinds of fruit - and 45 choices of other amazingly tasty toppings to choose from - there are 16 different scrumptious all-natural, guilt free, and flavours to try! Our custom flavours come from real ingredients sourced from their original locations - that means we get real Madagascar vanilla beans from the heart of Madagascar and only the best Belgian chocolates from Belgium. So come in, load up one of our frozen yogurt blends, smother it in your favourite toppings, and treat yourself to a delight that's bursting with flavour and choc-full of the healthy good stuff too. You'll never have known frozen yogurt could taste so good!